When it comes to Retro Seating no one does it better than A Moment In Time Retro Design. Our Retro Booths are made in the USA which means you're getting a high quality and durable product that will last for years to come. Our Retro Booths are also customizable which means you can create whatever kind of 1950s diner experience that you are looking for. 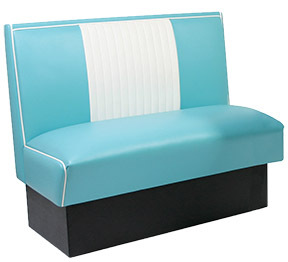 Represents a fully upholstered booth of classic design featuring a roll and pleat tufted back insert. Standard 36" height. * Refer to Seaquest Finishes for available tufted colors. * Shown with optional accent piping. 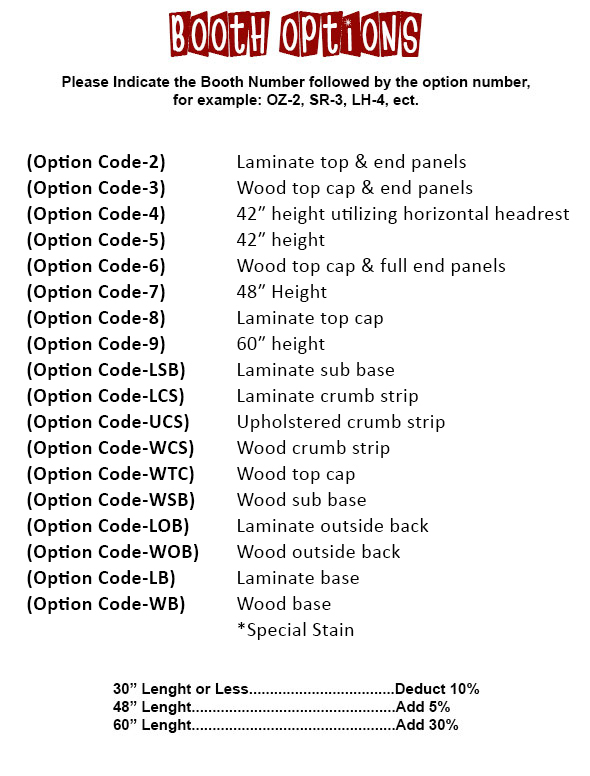 * Pedestal base (PED) available for single and double. 44" x 84" x 44"
44" x 84" x 84" x 44"